ERC 17 SA power supply box allows the supply of one module of the ERECA optical transmission range. Several types give the choice of large range of voltage source. 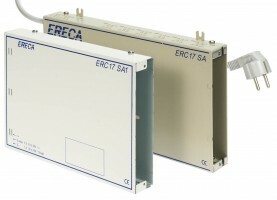 One box without alarm connexion ERC 17 SA1 offers a very compact size.